Over the past two decades Australians have embraced solar energy. In 2001 there were only 118 rooftop solar installations in the country. That figure is now approximately 1.8 million. This stellar increase is largely due to public awareness of the benefits of solar. Solar energy is virtually free, after installation cost, it’s clean, renewable, and offers energy independence. Solar panel rebates help install solar energy across Australia. But solar’s success is also due to federal and state government support schemes for solar installation and the installation of home storage batteries, like the Tesla Powerwall 2. So let’s take a look at the rebates, subsidies and incentives available to you and how you can access them. Following Labor’s election victory on November 24 2018, Victorians can now apply for the extended Victorian Solar Homes program. The government will now offer solar system rebates for up to 720,000 households in 2019. The rebate will cover $2,225 of the solar system cost for eligible households. The scheme is in addition to the national STC incentive mentioned above. 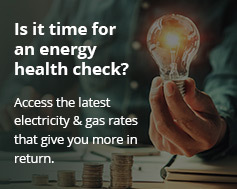 Get in quick for 2019: fill out our Victorian Solar Homes rebate form or call us on 133 786. The South Australian Home Battery Scheme (HBS)offers subsidies of up to $6,000 for residents to install home batteries. This includes Enphase batteries and the popular Tesla Powerwall 2. Home batteries not only give homes independence during power outages. They also store solar power generated during the day for use at night. Solar home batteries like Tesla Powerwall 2 are helping households slash power bills. With a battery, your home can also be connected to a virtual power plant. This battery networking capability is fast becoming the new frontier for power trading and energy saving. You can fill out a Home Battery Scheme inquiry form through Energy Matters here. Queensland also helps people to buy solar power systems and home batteries. Find out about the Queensland battery program here. Queensland householders can also apply for interest-free loans of up to $10,000 and grants of $3000 to purchase batteries or combined solar-battery systems. There’s also a Queensland interest-free solar loans scheme to help residents install solar panels. This is available to those who get the Family Tax Benefit B. The granddaddy of all Australian solar incentives is a federal scheme that’s slowly being phased out. Rooftop solar is known in the industry as small-scale technology (as opposed to industrial-size technology). The federal government encourages the installation of these small, rooftop solar systems with its Small-scale Renewable Energy Scheme. Each STC has a dollar value. Your solar retailer redeems this for you in a government regulated market. Your solar retailer then deducts the value of your STCs from the cost of your system. Submit for a quick solar quote from Energy Matters or contact our consultants for advice. We email you an obligation-free quote on the basis of the information you provide, including the amount of the discount you get for your STCs. Accept the quote and pay the deposit. We install your new solar system. The electricity distribution network has ‘downloads’ and ‘uploads’ of electricity. When you ‘download’ electricity from the main grid you are charged by your retailer. Feed-in tariffs in Victoria could be as high as 29c per kWh under a new time-varying feed-in tariff. But if you have solar panels you can sometimes ‘upload’ power too, and the retailer pays you for this. This payment is called the feed-in tariff. How much you get paid by the feed-in tariff not only varies from state to state, but between retailers. To find out more about how much you’re likely to get, go to our feed-in tariff page. Remember, feed-in tariffs can change, so check the latest solar feed-in tariffs with your electricity retailer.